Yes, interview questions and then doing background checks are very important. But these tactical actions must fit in a broader strategy. After evaluating over 24,000 applicants across 5,000 companies over the last 20 years, the No-Fail Hiring System was developed. 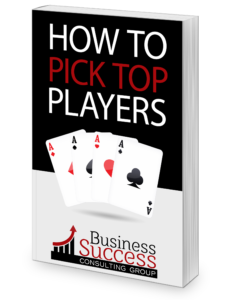 It is a full, confidential hiring procedure that guarantees to increase your certainty of picking top players by 300 to 500 %. One must be challenge and results-driven, honest, accountable, able, willing to learn and improve, group-spirited, loyal and naturally persistent through difficulties. A positive attitude when problems arise can make all the difference in the working environment. It is estimated that over 77% of hiring failures are due to lack of willingness.